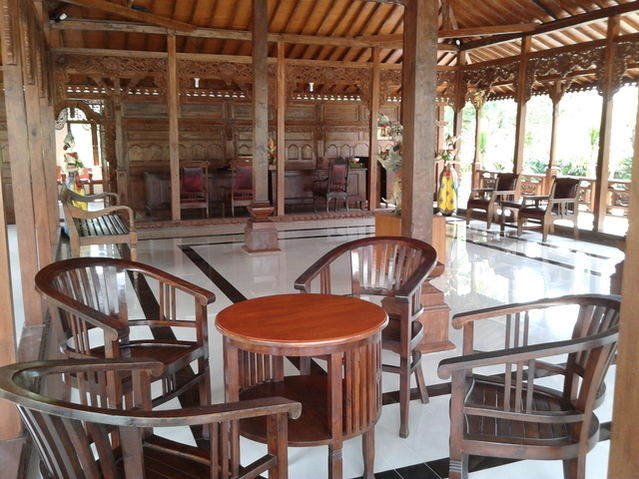 Kahyangan spa is harmonious with relaxing environment that will provide you the best spa treatment. Located at one of the calmness central bali Ubud, Kahyangan Spa will provide the most relaxing treatment and calm your mind. The Spa service are miraculously by our highly trained therapists. 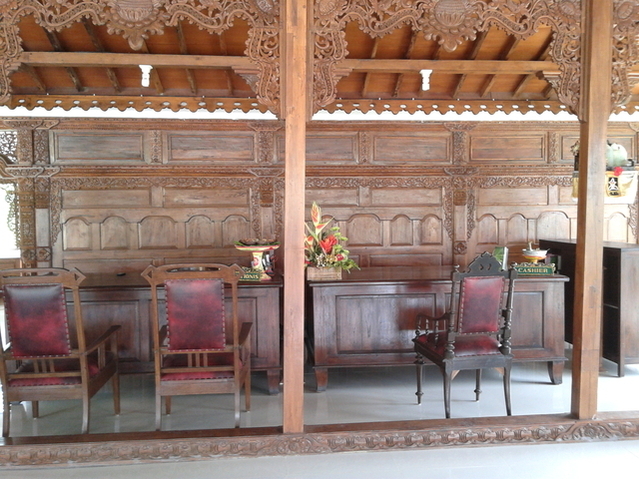 We combine best of the best product from the Indonesian Archipelago. Recipes such as Frangipani body lotion, varieties massage oil are combined with the traditional exotic body scrubs, exotic herbs, tropical flowers and fruits, etc. 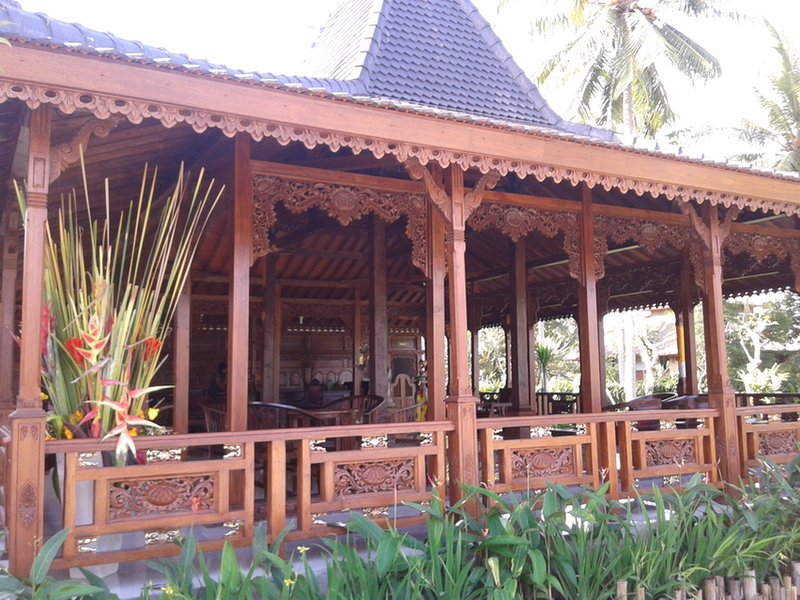 The “Kahyangan” is a sacred place where the Gods and Goddesses live. It is a sanctuary where mortals could only dreams of, an ethereal place where our physical beings are healed and restored, our senses are rejuvenated, and our minds are enlightened. To be well and to be whole as it was always meant to be. The Kahyangan Spa is a sanctuary that embraces your well-being, offering a heavenly journey of sensory delights to enliven your spirit. Our treatments incorporate: the healing touch for the body, the ritual and the fragrance to heighten the spirit, and tranquility to calm the mind. 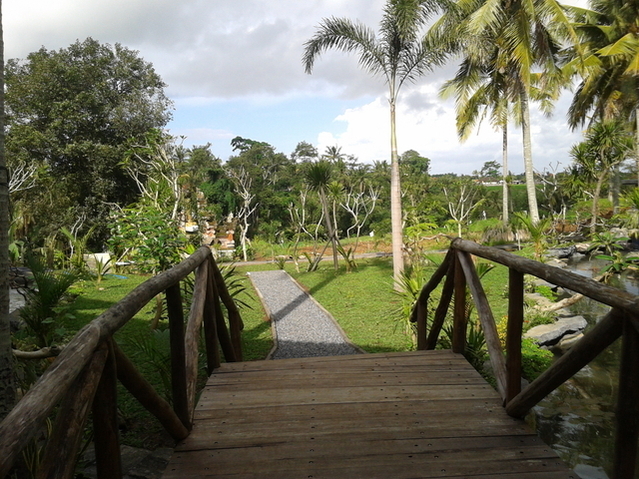 Our mission is to deliver a heavenly journey of sensory experience where every step of the treatment brings a renewed and transformed you wholly … in body, mind, and spirit Before you embark on a journey to experience the heaven on earth please note that The Kahyangan treatments are all designed to enhance your overall health and wellbeing. All the treatments have corrective and anti-stress benefits. Find balance, peace and tranquility as our team of professional, trained therapists create a customized sequence of therapies to suit your personal therapies to suit your personal needs. 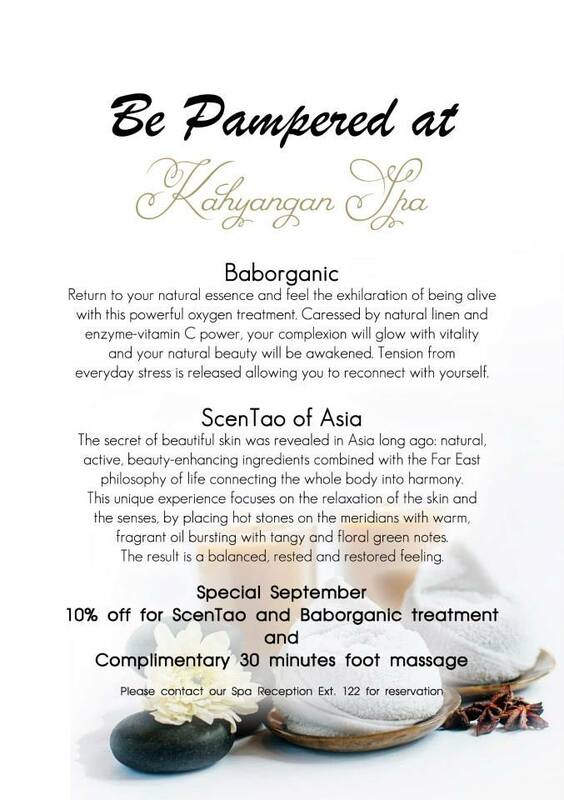 Surrender your body and mind to the ultimate spa experience at The Kahyangan Spa. Please see the spa menue at the treatments tab above. Signature massage in a unique combination technique of traditional massage. a four handed massage performed simultaneously by two therapist.Their smooth movement applied onto body creates illusion of one therapist rather than two. The Heat of warmed stone penetrates the tissues increasing blood flow and circulation, relieves muscle discomfort. It relaxes, Heal and energizes, influencing the energy centers and balancing both body and mind. Natural aroma of the chocolate will give special impression, anti oxidant and anti aging, promotes younger and healthier skin, contains polyphenon or known as Vitamin P that prevent skin cancer. These treatment will begin with an Foot Bath ritual , traditional massage, chocolate body scrub , massage with cold stone are then applied to promotes relaxation, and release skin pores blockage and spa drink are then given to complete this treatment. These luxuries well known treatment will begin with traditional massage with flows into exfoliation scrub using yellow colored spices and herb followed by yogurt rub down. A smoothing soaks in scented flower bath and are then provided to complete this treatment. This unique treatment using the world first wine based on cosmetic promoting more young full and beautiful skin. The most important thing that red wine eliminates the risk of cancer and contain VIT A,B1/B2 and D. With the mixture of massage and body scrub, this treatment is encouraging state calm and mind. Escape into an an exotic and luxuries moment,pamper your body and shoot your mind, starting with foot ritual,traditional massage. 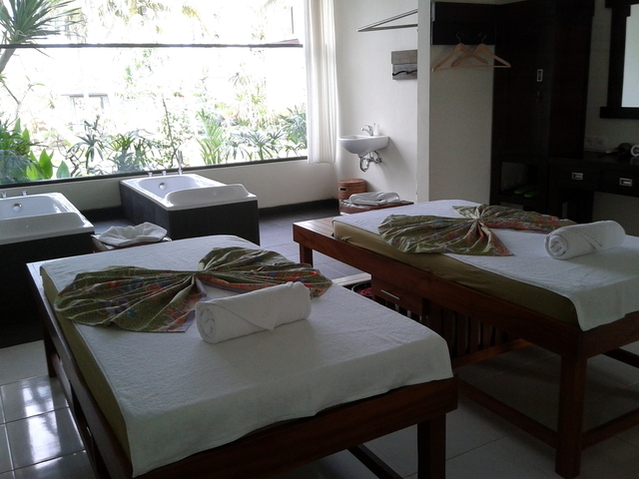 Choice of body scrub,scented flower bath,facial treatment, a choice of manicure or pedicure and enjoy our healthy drink (fruit juice) to complete your spa experience. We had a very good Hot Stone Massage massage (about 2 hours). The spa is clean and nice. Treatment was very good. We can reccommend it !